Lysholm helps international consumer brands increase sales. 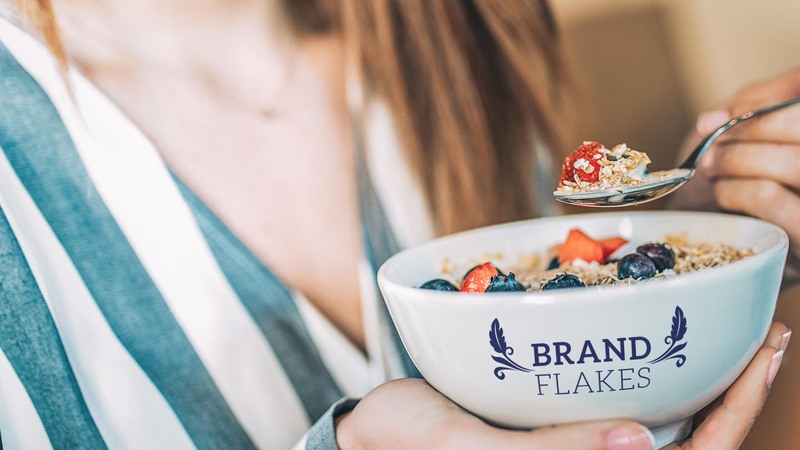 We combine consumer insights, relevant content, and strategically-focused creative thinking to build advertising solutions that stand out and sell products. Established in 1988, Lysholm is spearheaded by second-generation advertising professionals. Born and raised in advertising, we have lived and breathed the business for as long as we can remember, and it’s in our blood. We are as passionate as we are professional. Want to engage your customers? Increase sales? Boost awareness? Advertising can be complicated. Working with us is simple. As a client, you will get a single contact at who will be hands-on involved in every aspect of your project. That way, everything we know about you goes into everything we do for you. Straightforward and effective. Lysholm is a full-service agency, but we prefer to think of ourselves as a great service agency. We never let a tight deadline or changing circumstances dampen our enthusiasm for your project. On the contrary: flexibility and a “yes, we can” attitude is how we do business. No two clients and no two projects are the same. That is why we put together a specific team for every project, handpicking from our in-house talent and our extensive network of skilled professionals. 85% of our clients are international consumer brands within three industries: Retail, health & beauty, and pharmaceuticals. We help our clients with every type of advertising and marketing need. We’re happy to assist with strategy, marketing research, content marketing, digital and social media, direct marketing, brand strategy and positioning, creative design, brand and product development, website development, POS, artwork, TV, radio, video and print. The wallpaper presents our clients. By using this website www.lysholm.dk, you agree that Lysholm Reklamebureau A/S processes your personal information in accordance to this data policy. Lysholm Reklamebureau A/S fully respects all requests for confidentiality of personal information submitted online and we are aware of the need for appropriate protection and sound processing of all personal information we receive. If you cannot accept data policy, please do not use this website. Personal information covers all information that can be used to identify a person, including but not limited to his first and last name, age, gender, personal address or other physical address, e-mail address or other contact information, whether or not they are relates to his / her private residence or workplace. As a rule, you can access the website without telling us who you are, or in general giving personal information about yourself. 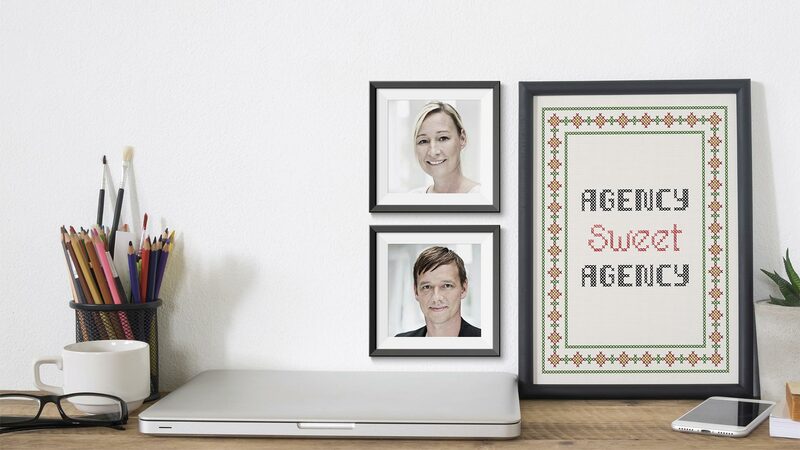 However, Lysholm Reklamebureau A/S requires certain personal information to trade with you and to provide information and other services to you. Registration of personal data and personally identifiable information is required to analyze how users use Lysholm Reklamebureau A/S websites through Google Analytics. Lysholm Reklamebureau A/S does not collect personally identifiable information from third parties about the customers. Personal information provided on www.lysholm.dk is not disclosed to 3’rd part. Lysholm Reklamebureau A/S only passes personal information to others, eg abuse records in accordance with applicable law, if the customer concerned conducts abuse or fraud against [Firmanavn]. In order to further develop and improve Lysholm Reklamebureau A/S websites, we provide statistics on how users use the website. The statistics are only used in summarized form, eg. to see which pages and browsers our customers use most. Some personal data are administered by a third party (data processor) which stores and processes personal information on behalf of Lysholm Reklamebureau A/S in accordance with this data policy and the applicable data protection laws. We keep only the personal information as long as necessary for the purposes stated above. 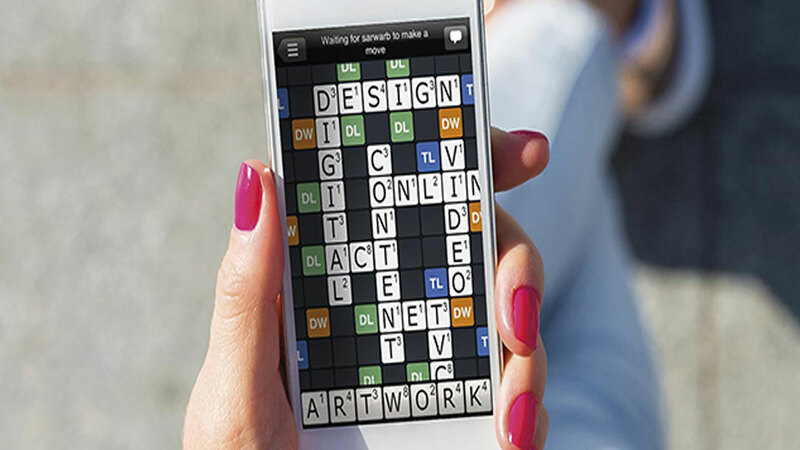 In addition to the information you enter in conjunction with purchases, enrolment for newsletters and other services, use www.lysholm.dk cookies. Read more about our cookies and further information on how to delete cookies on the link below. Link to deletion of cookies Evt. If you do not want Lysholm Reklamebureau A/S to identify your PC, mobile, etc. using cookies, you can also read from the link above how to delete or block cookies from your browser. For each visit to the website - regardless of the presence of a cookie - we direct the user's type of browser, operating system, host (host), and URLs to the pages that are requested. This data is used in a comprehensive and anonymous form for statistical analysis of the general use of the website. Lysholm Reklamebureau A/S undertakes to continuously comply with the legislation's requirements for the protection of privacy. 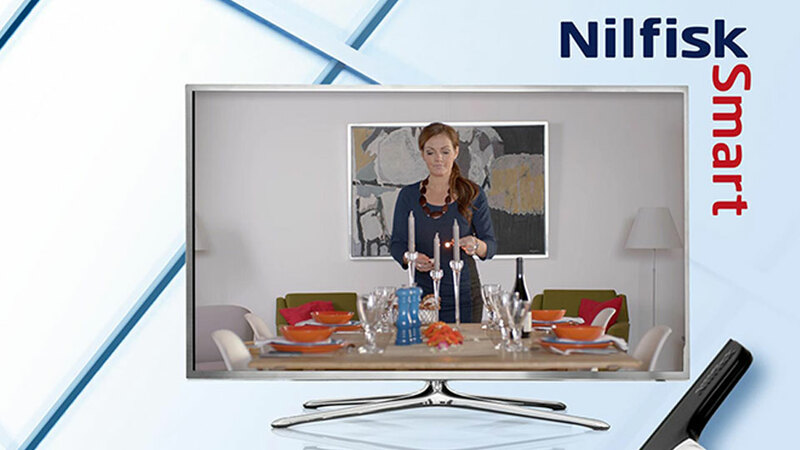 For the launch of Panodil’s new global TVC, Lysholm created the Danish key visual to be used in the consumer Below-the-Line communication. 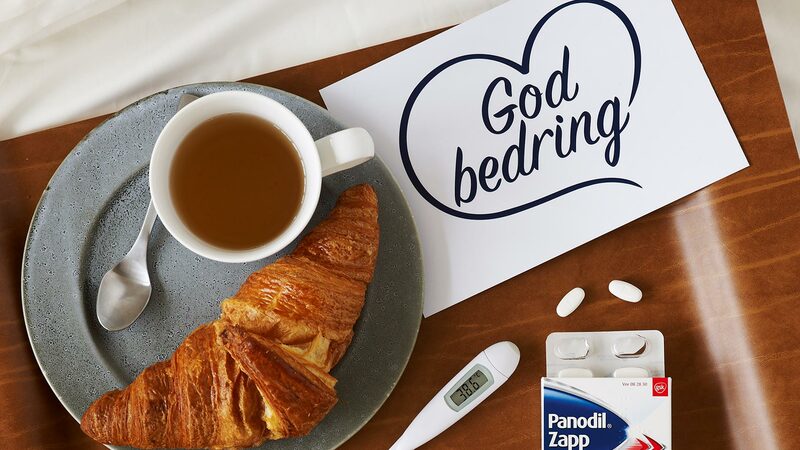 Building on the creative momentum of the TVC concept, a heart with the words “God bedring” (Get well soon) told a simple tale of caregiving. Following our presentation, the client decided to integrate the heart visual as a sign-off in the Panodil TVC. Deliverables: TVC add on, detailer materials, POS materials. 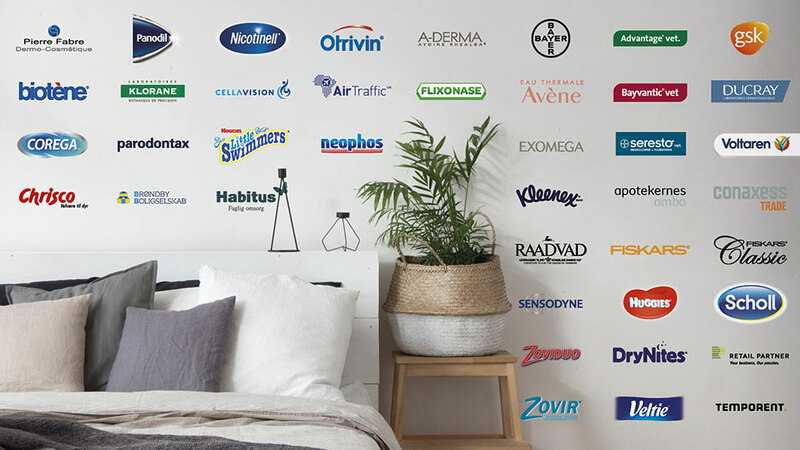 Lysholm is responsible for almost all of the pharmaceutical giant Pierre Fabre’s in-store materials, marketing the major brands Avène, A-Derma, Ducray and Klorane in pharmacies. 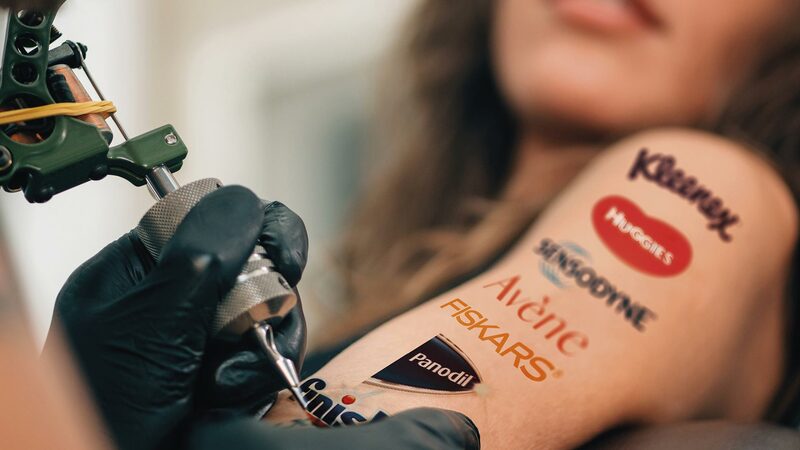 The Avène sun campaign is an example of our work to create compelling campaigns for the Nordic market based on international guidelines. 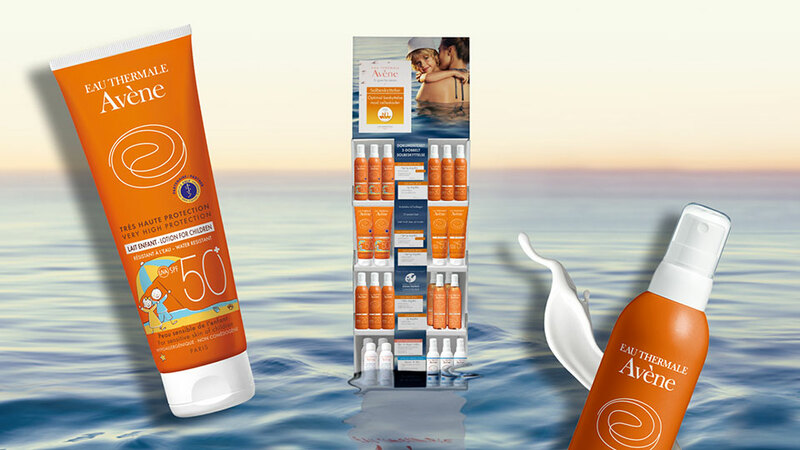 We helped drive buying decisions on sun protection with special offers and increased visibility during high season. For this campaign, we created a series of attention-grabbing materials for shelves, counters and floors. Deliverables: Floor deco, decoration of shelves and gondolas, floor display, counter display, event materials, posters, detailer materials. 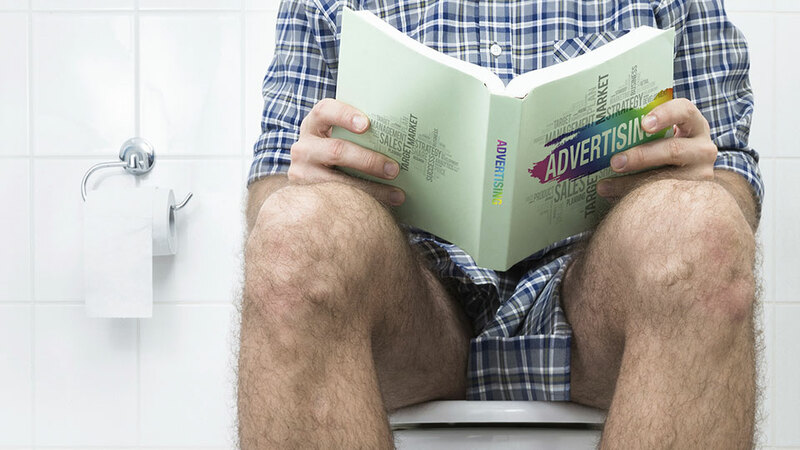 Launching a moist toilet paper for convenient and effective cleaning after “number 2”, Lysholm created a creative concept for the launch campaign. Our solution took a humorous and somewhat provocative approach the matter at hand (so to speak). 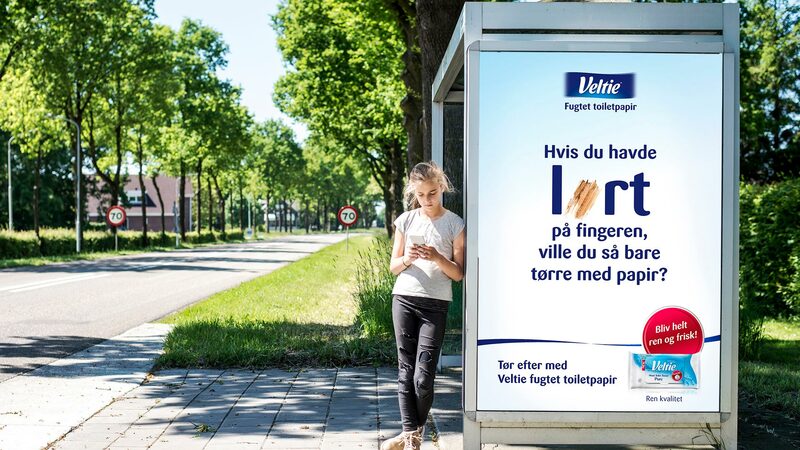 The campaign was executed in Fitness World centres across Denmark – using in-centre TV spots and sampling – as well as in various POS materials, display and outdoor solutions. Deliverables: Adshell, In-store spot, flyers, POS, displays. 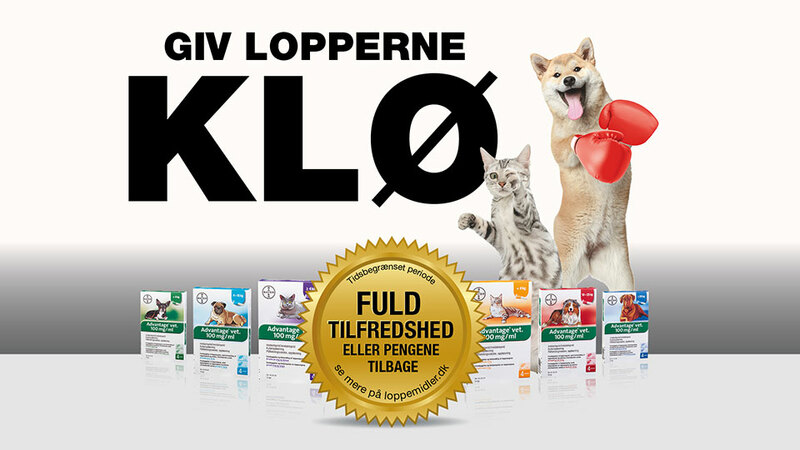 For the launch of a new type of snack for dogs and cats, Lysholm was tasked with creating a packaging design that adhered to the Animal Planet design guidelines, included a clear link to Chrisco, and communicated strong positive values. It also needed to be flexible enough to be used across any and all product variations. 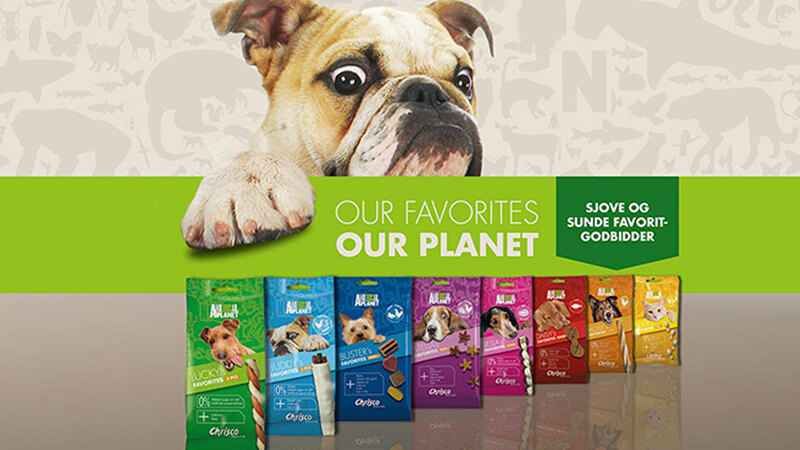 Our creative design used a humorous approach, showing pets unable to take their eyes off the product. A strong and vibrant color scheme demanded attention on the shelves and clearly differentiated the various snacks. Deliverables: Packaging design, print ads, and POS materials. 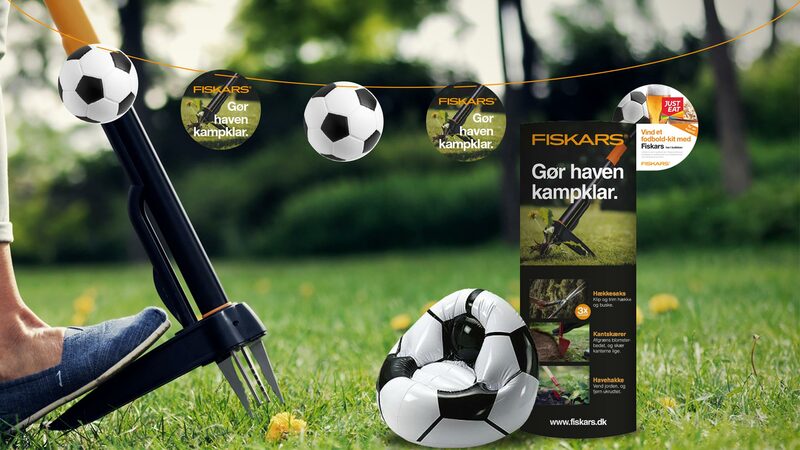 For Fiskars’ summer campaign, Lysholm developed extensive in-store activities, piggybacking Fiskars’ garden products on the World Cup soccer championship without compromising Fiskars’ brand guidelines. The “Gør haven kampklar” (Get the garden ready for the game) message was supported by a “win in-store” activity to facilitate the sell-in process. Deliverables: Ellipse display, top sign, wobbler, poster, competition coupon, grass floormat and large soccer-ball shaped beanbag. 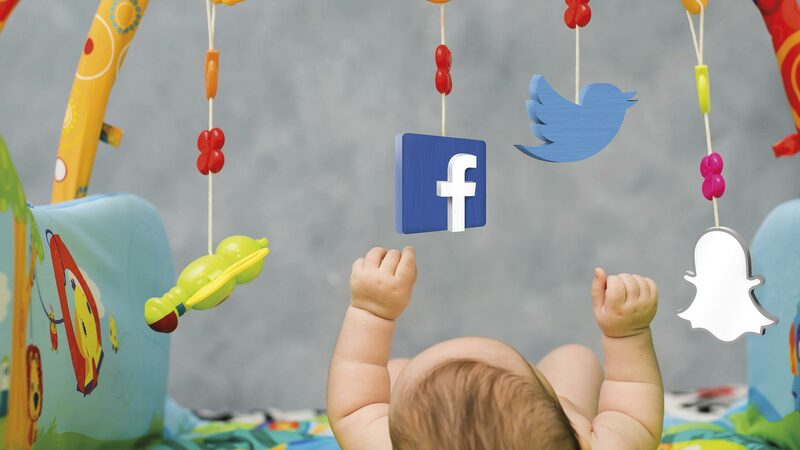 Tasked with launching and maintaining Huggies wipes and diapers on Facebook, we converted a modest marketing budget into an active Facebook page with more than 17,000 followers interacting on the site. And we did it in less than two years. Another diaper product, DryNites, is for big kids who wet the bed – a topic not easily or openly discussed. To help parents share experiences, knowledge, and advice, we created a members-only Facebook group that has evolved into a forum. The members create the content by posting, engaging in discussions, and sharing their stories. 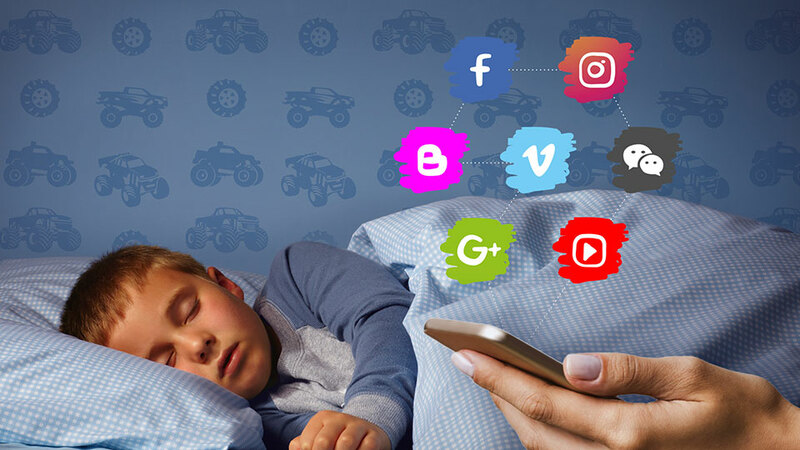 Deliverables: Social Media strategy, posts and ads. Launching Nilfisk Smart, a new window washer in the Nordics, we built on our success concept “Gør det “rigtigt” sjovt“ (Makes doing the right thing fun) developed for Nilfisk’s high pressure cleaner and vacuum cleaner products. That meant we could utilize the strong established values of Nilfisk's well-known products. Deliverables: Product name, packaging design, digital advertising, print ads, tv commercials, and extensive in-store campaign in hardware stores across the region. For the dog and cat flea treatment Advantage, we developed a creative concept for a “money back guarantee” campaign. 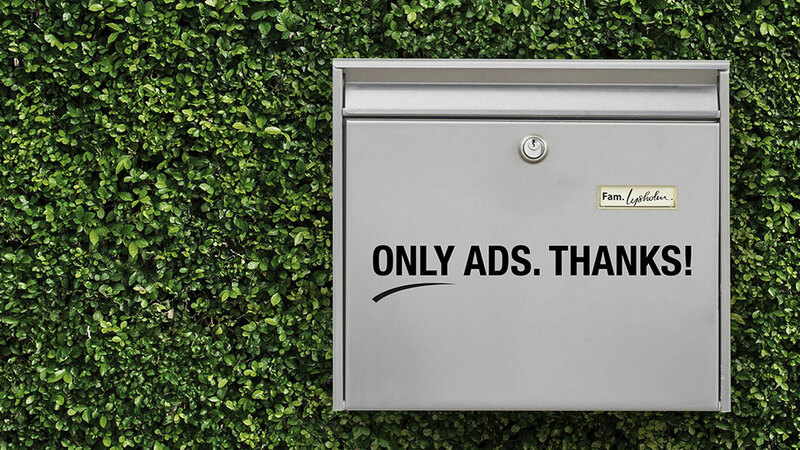 The campaign message combined a strong communicative appeal with the product feature, and the strong call-to-action effectively urged the consumer towards a purchase decision. Following the great success of the initial 3-month campaign period, Bayer opted to extend the campaign for an additional 12 months. Deliverables: Detailer materials, POS materials, online ads, print ads, and a brand-new product website.